So much so that I decided to try it in my baking! 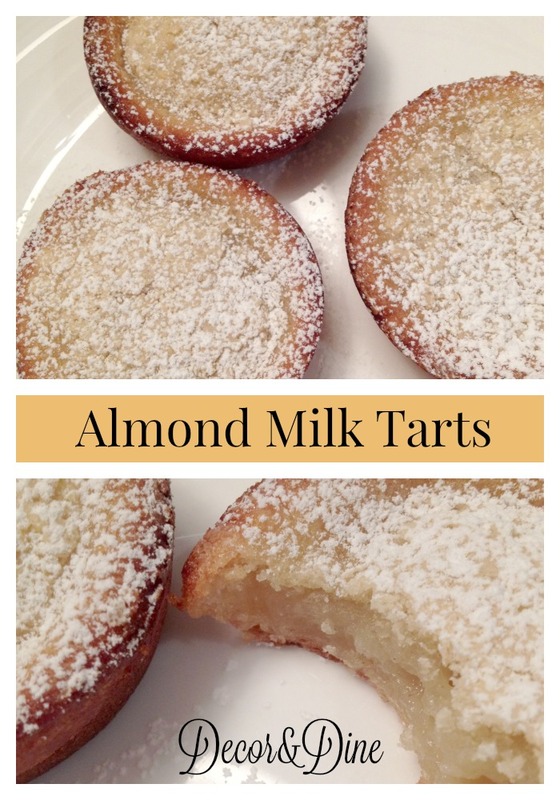 I made a batch of Almond Milk Tarts, and they came out delicious. So delicious that you may not be able to stop at one! Grease muffin tins very well. Mix all the ingredients together in bowl of electric mixer or whisk by hand until well blended. Fill muffin tins 3/4 of the way. Place in the oven for 30 minutes or until tops are golden. The outside of the tarts will be crispy and the inside will have a custard texture. 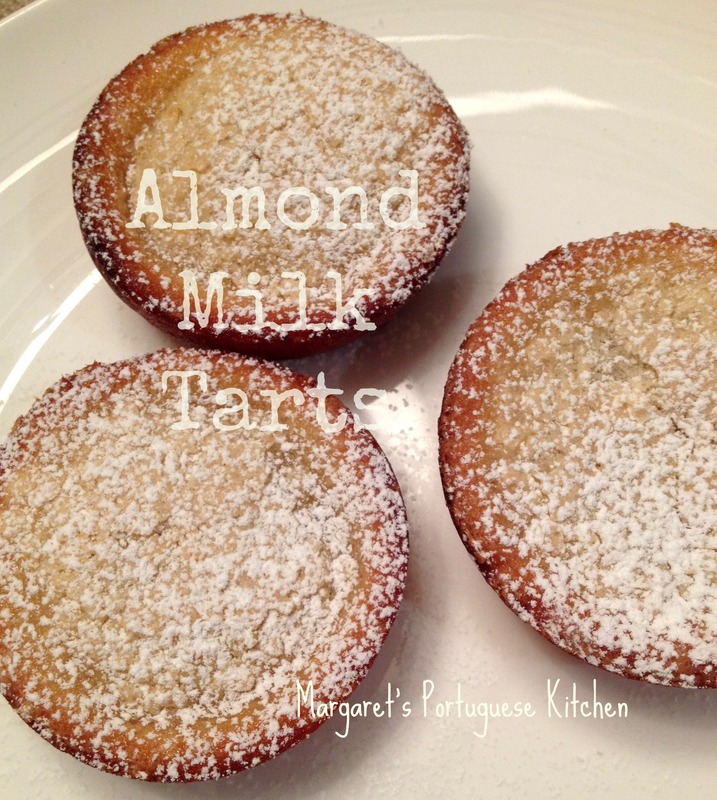 If you would like to try the original milk tarts go…here! Your tart looks absolutely amazing Margaret! I don’t often do desserts, but I’m pinning this just in case! Thanks Christine! If you like them you you should try the regular milk tarts or the coconut tarts, if you like coconut. I love these! I love that custardy texture inside. I love that I don’t have to stress about a crust. Can’t wait to try these. Thanks for linking up at #SaucySaturdays.